Home » News » Unlocked Lumia 650 goes on sale at Cricket Wireless in the U.S.
Back in April, we informed you that Cricket Wireless would bring Microsoft Lumia 650 to the US with a price tag of $129.99. 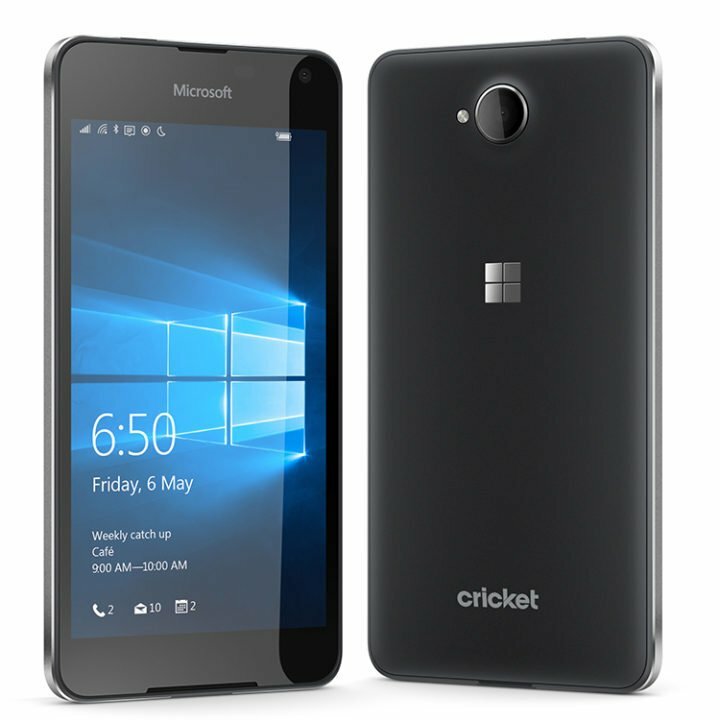 Now, you can finally purchase this phone from Cricket Wireless and enjoy the Windows 10 phone experience. The choice made by Cricket Wireless is very interesting because very few US carriers sell Windows 10 phones. Another advantage for buyers is its price tag. When Microsoft started selling its Lumia 650 in the US and Canada, buyers could purchase the phone for $200. One month later, you can already save $70 for the same model. The Microsoft Lumia 650 is powered by a 1.3GHz quad-core Qualcomm Snapdragon 212 processor equipped with 1GB of RAM and its 16GB internal storage capacity can be expanded up to 200GB with the help of a microSD card. The phone has a sleek design, with a 5-inch touchscreen display offering a 720 by 1280-pixel resolution. The primary 8-megapixel camera and the 5-megapixel front shooter allows users to take excellent photos. The Lumia 650 is beautiful, thin and light, with a premium metallic design that offers it a business-like look. Its operating system, Windows 10 Mobile, brings built-in apps like Office, Mail & Calendar, Maps and Photos, allowing you to stay up-to-date with what is going on at work on the go. Also, Microsoft OneDrive backs up your information and syncs seamlessly across all your Windows 10 devices while Cortana, your personal digital assistant, helps you with various tasks. The Lumia 650 is a stylish premium looking business class phone at an affordable price. […] I previously used the Lumia 635 and noticed a remarkable performance improvement between the two. The apps open much smoother with a greater range of apps available on the Store. The Edge browser has improved and works better with the sites I visit the most, compatibility has been improving with each update. […] This is a great to use phone for professionals and casual gamers. It has much better build quality than the equivalently priced Android phones. The Pro’s Stylish, excellent build quality and premium feel, expandable storage up-to 200gb, super-fast processor, Windows 10 Mobile, beautiful OLED screen, good Wi-Fi speeds, non-slip removable back cover, built in Office. The Cons Some apps like Snapchat not available in app store, Edge is a new browser so has compatibility issues with badly written sites with ads but loads ok, battery could be better but I use a lot of Wi-Fi. I’m considering buying another for my sister. Buy the Microsoft Lumia 650 now from Cricket Wireless for $129.99.